One of the best ingredients for a happy kitchen is a pinch of attitude. 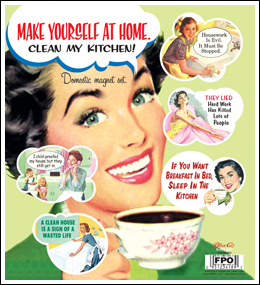 These vintage housewives are telling us what they really think. It's so refreshing. Set of 5 shaped rubbery magnets.